In PEOPLE’s new cover story, the Obamas open up about life after the Oval Office. 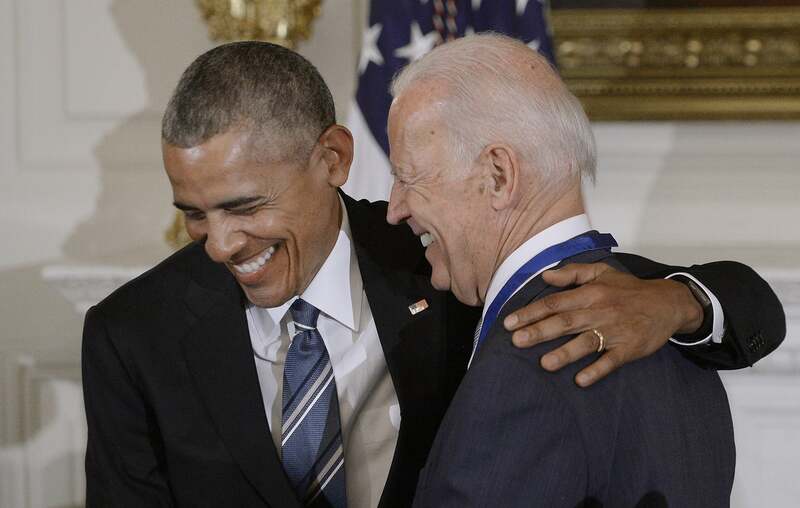 Barack Obama and Joe Biden‘s bromance lives on. In PEOPLE’s new cover story on the Obamas’ life after leaving 1600 Pennsylvania Avenue, Obama’s chief of staff Anita Decker Breckenridge says the former commander-in-chief’s special bond with his vice president hasn’t changed. The first time the two men saw each other after President Donald Trump‘s inauguration ceremonies on Jan. 20 was a homey reception— think grocery-store cheese platter and some bottles of wine on a folding table — to christen the Obamas’ new offices in D.C.’s West End. As for Hillary Clinton, sources in both leaders’ camps confirm to PEOPLE that Obama has not spoken with her since they saw each other on the Capitol steps at Trump’s inauguration.